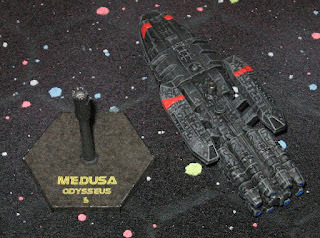 Here's a little project I just finished: covers for stands of starship minis. We play a lot of Colonial Battlefleet by Steel Dreadnought. 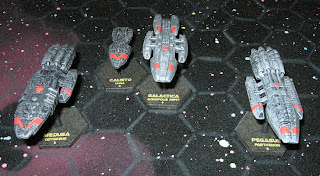 (We just finished play testing the soon to be released Empire Space expansion rules). 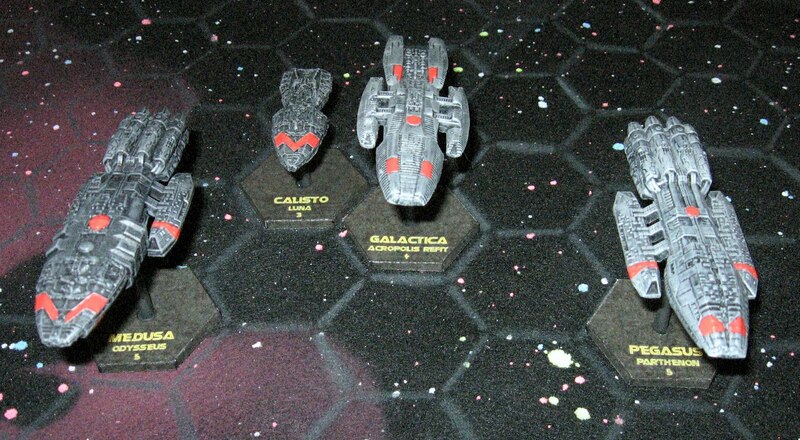 It's a great generic set of rules for starship combat. The Man VS Machine is an excellent expansion set that allows you to fight in the Battlestar Galactica universe. I've been slowly building up my Colonial fleet. It is a mix of Hanger 18 FASA and Ravenstar Studios minis. 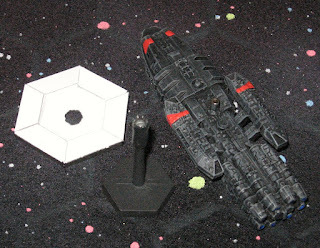 I like using VBAM Games bases, not only because they come in different heights; but they are cheap. They are topped with Ninja Magic's magnetic adapters. It makes for a great system except for one problem - it doesn't look good. 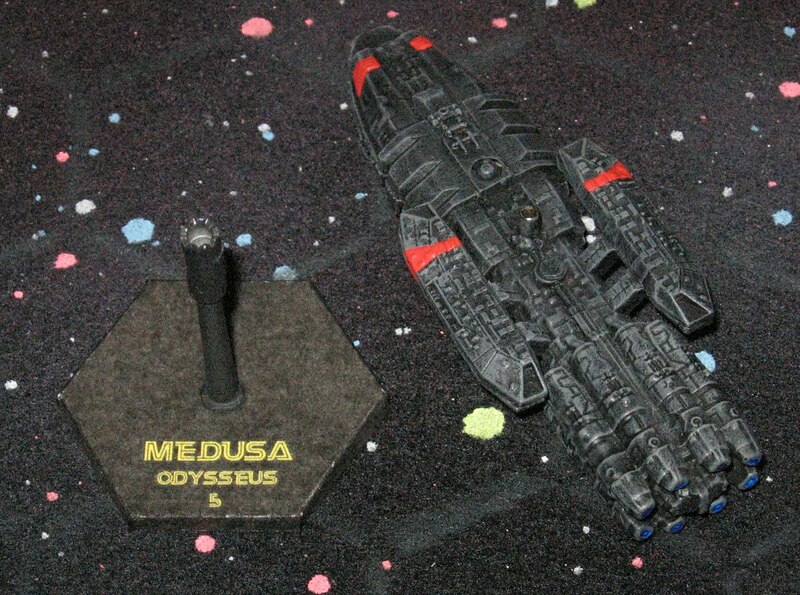 So I've made a cover for the bases that slips over the magnetic adapter and allows me to show the ships name and information, plus it makes for a better look. They are simple to make: print on 110lb. card stock, and use some basic paper modeling skills. You can download them here. They are a jpeg file so you should be able to add names and information easily. I use a board with 2" hexes so these will be large, but they will also work for hexless boards.